Off-Grid Solar Systems are devices that generate electricity by converting incoming, free-of charge sunshine and operate independent from a power grid. How do Off-Grid Solar Systems work? Similar to on-grid solar systems, every off-grid solar system is different according to the site of operation, purpose of usage and power required by the user. Yet, full off-grid solar systems do not rely on supplementary power sources, such as generators or the national power grid. The power requirements of systems for individual households differ much from systems for companies and factories. As such, for high electricity consumption requirements, a good and fully off-grid solar systems comes with high-performing components and solar PV modules, batteries, inverters etc. with comparably higher capacities than an on-grid systems to fulfill the same power requirements. Standard off-grid solar systems are pre-designed sets/ packages that cover the power requirements of a set range of electrical appliances capped at the performance maximum of such system. While the advantage of such standard off-grid packages is their comparably good pricing and balanced design, the disadvantage of standard off-grid systems is that they are not flexibly and individually designed according to the diverging needs of diverse applications. Customized off-grid solar systems are customer-/ purpose-tailored renewable energy systems. The big advantage of customized system is that they are precisely designed to meet the purpose and requirements of an individual project, yet the design process and the need for particular non-standard components incur significantly higher costs of these systems. There are companies that specialize in and offer both standard off-grid packages as well as tailor-made solutions. 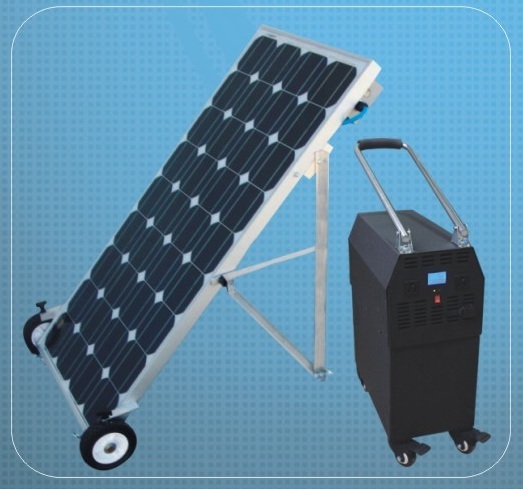 Apart from off-grid solar power systems, there are also other off-the-grid solar-powered applications that use solar energy to power specific devices, interconnected devices. Such applications include solar-powered water pumps, solar-powered street lights or even mobile devices using solar energy, including solar chargers, flashlights/ torches, radios, backpacks and even scooters, cars, boats, planes and satellites. What are the economic prospects for off-grid solar systems? The off-grid solar market is a continuously growing market. In view of the volatile fossil fuel world markets, the tendency towards depletion of these resources, the difficult and expensive connection of tens millions of remote households to the national grid, the high potential for solar technology in terms of daily sun ray radiation and the increasingly falling prices of solar cells, inverters and even batteries, coupled with improving technological efficiency, off-grid solar systems are particularly in the countries of the southern hemisphere but in the long-run also in industrialized countries an enormously potential resource. My sugestion is to have a detailed description and basic specification of all items.Not only listed the components.